Award-winning and bestselling author, Sharon C. Cooper, spent 10 years as a sheet metal worker. And while enjoying that unique line of work, she attended college in the evening and obtained her B.A. from Concordia University in Business Management with an emphasis in Communication. Sharon is a romance-a-holic - loving anything that involves romance with a happily-ever-after, whether in books, movies or real life. She writes contemporary romance, as well as romantic suspense and enjoys rainy days, carpet picnics, and peanut butter and jelly sandwiches. When Sharon is not writing or working, she’s hanging out with her amazing husband, doing volunteer work or reading a good book (a romance of course). Thanks so much for participating in Sharon Cooper's A DOSE OF PASSION blog tour!!! 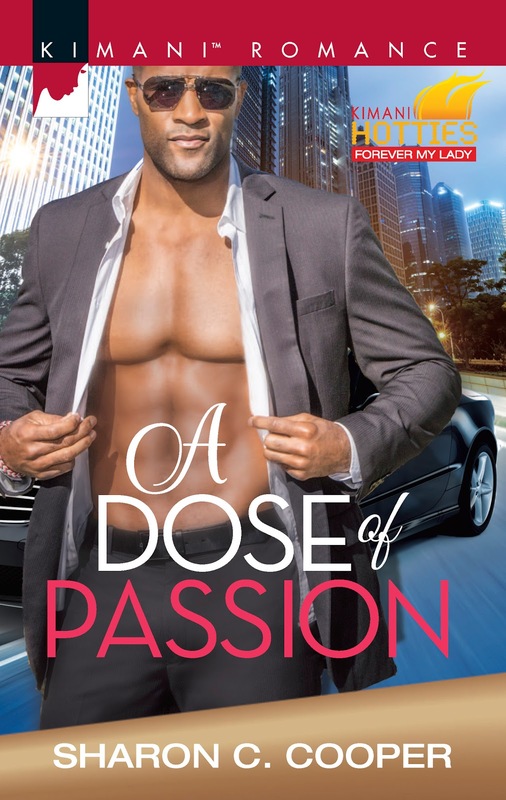 Thank you for hosting A DOSE OF PASSION! Greatly appreciate it!